Fellowship training after surgery residency has become commonplace. 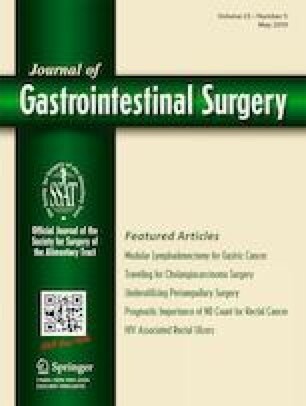 The concept of an advanced gastrointestinal (AGI) surgical fellowship has been implemented through the SSAT and Fellowship Council (FC). Newer and more competitive requirements are being proposed through a taskforce inclusive of many surgical societies. This study was designed to measure the interest in hiring graduates of AGI fellowship. This is a SSAT sponsored 20-question survey which was sent out to the Society members in general surgery practices (mix of hospital based and private) across the USA through an online electronic survey software (SurveyMonkey, Palo Alto, Ca.). Descriptive statistics were generated from aggregate survey responses. We had a total of 285 responses. Majority (92%) preferred hiring a surgeon who has completed a post-graduate fellowship. Type of fellowship preferred by the prospective employers varied depending on the focus and the need of the individual practice. Most important characteristic that the employers sought were references, letters of recommendation, and work ethic, followed by technical skills, and completion of fellowship. Most of the responders felt that a complex GI surgery fellowship may be an attractive qualification in prospective job candidates. Our survey showed that the majority of surgery practices in the US prefer fellowship-trained candidates as potential hires. Only a small minority (< 20%) of those surveyed felt that completing an AGI fellowship would not give prospective candidates an advantage in obtaining a job. Our results indicate a growing need for a AGI surgery fellowship. Each author listed has met all four criteria for authorship and has participated sufficiently for the work.